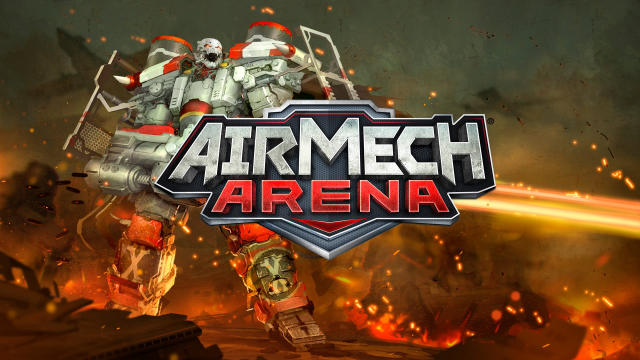 Airmech (Airmech Arena on XBox 360) allows players to take control of a transforming mech, and pilot it in action filled, MOBA-style battles. 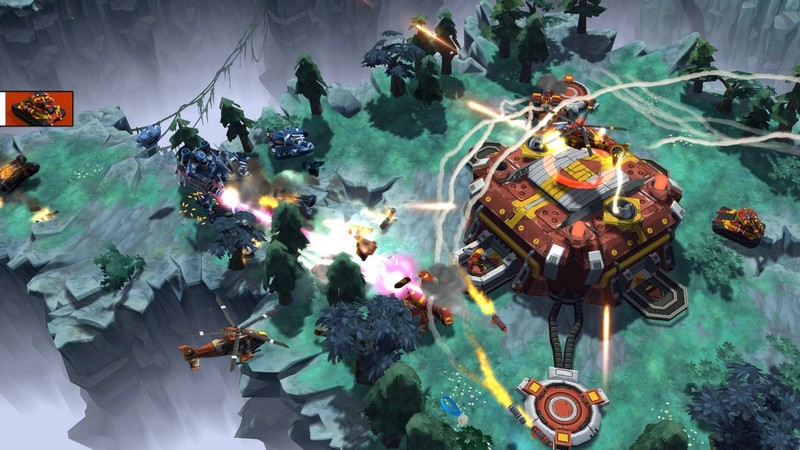 The game offers competitive, cooperative, and solo game modes. 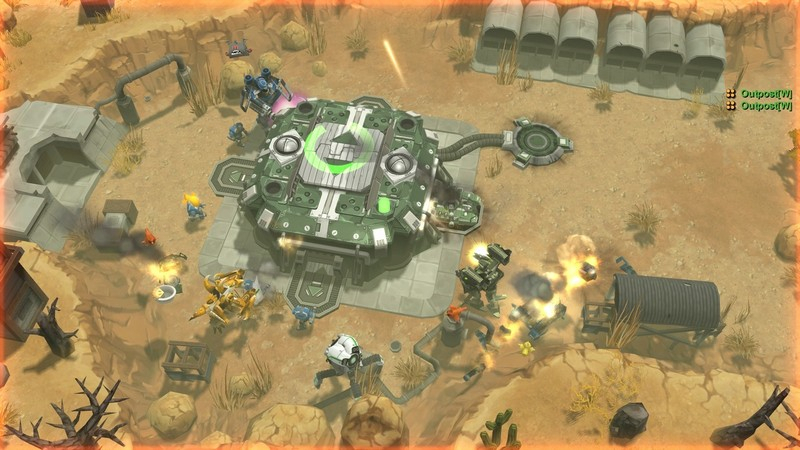 Each robot has their own unique abilities available, and can select a number of support units to aid them. 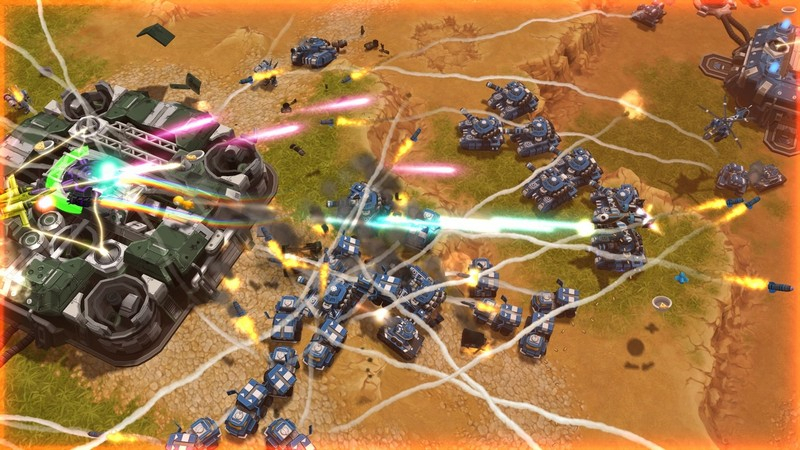 Reimagined Action-Strategy: DotA-style gameplay, in short matches using mechs with unique abilities and stats. 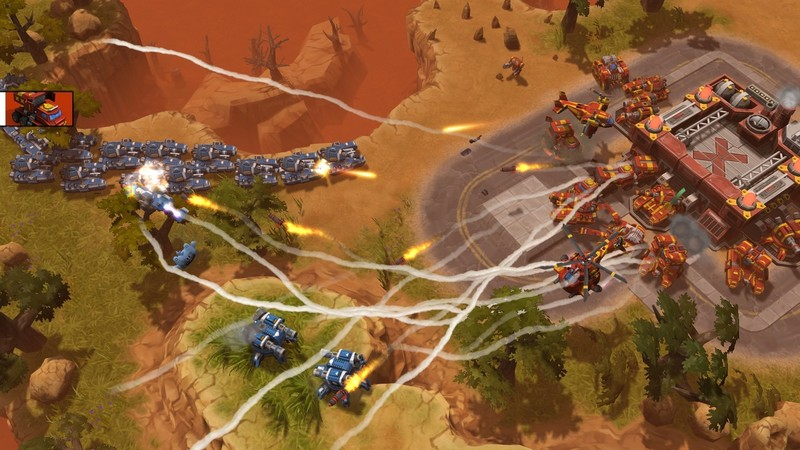 Customizable Units: Change and adapt your AirMech and units to best suit each battle. 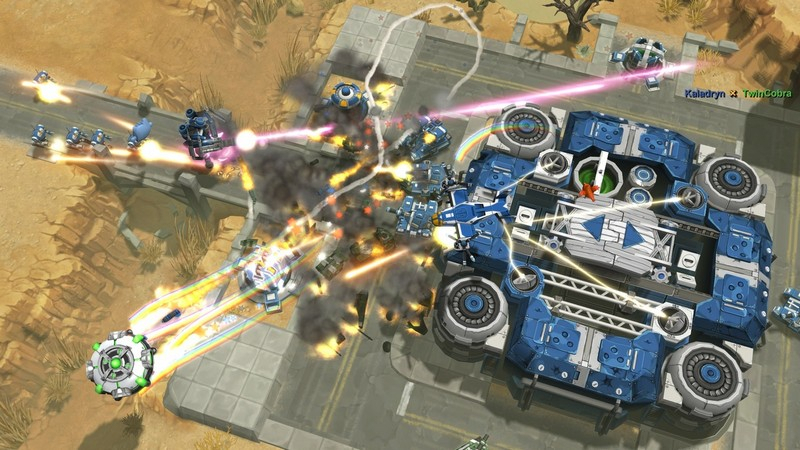 You can also unlock Variant AirMechs (skins) to help you stand out in the fray. Different Modes: Play in Challenge modes, Survival Mode Co-op, and PvP (1v1 to 3v3). 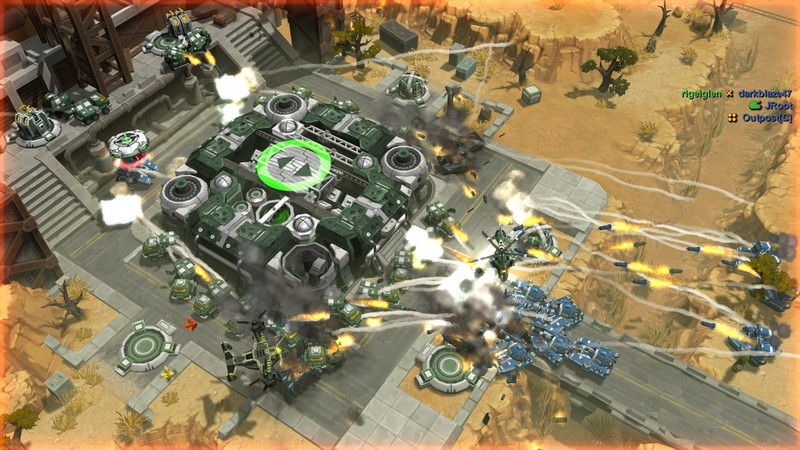 Controller Support: Designed primarily for controllers, AirMech also offers mouse and keyboard support. Controls may be personalized.